Place frozen thighs into the bottom of a slow cooker. Lay as flat as possible. Combine the rest of the ingredients in a small bowl. Pour sauce over the chicken. Cover and cook on Low for 2 hours. Turn chicken over and cook 1 hour longer. Serve with rice. Review: This is a delicious, and incredibly easy meal. We just love it. 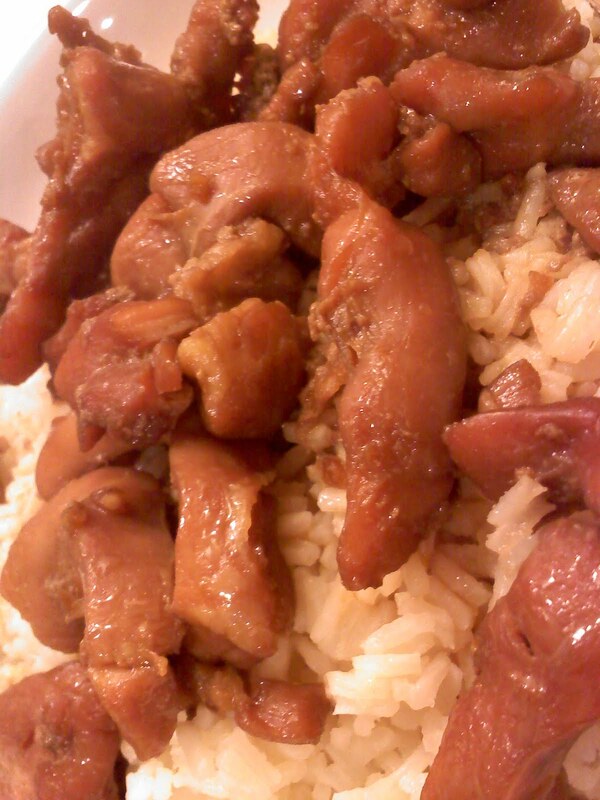 It's a great last minute filling dish, and the addition of rice really give it that Chinese restaurant feel. I give this 5 stars!